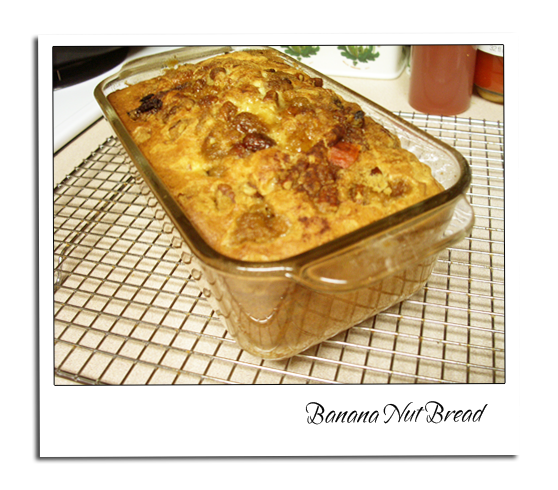 Banana bread first became a standard feature of American cookbooks with the popularization of baking soda and baking powder in the 1930s, appears in Pillsbury’s 1933 Balanced Recipes cookbook,and later gained more acceptance with the release of the original Chiquita Banana’s Recipe Book in 1950. The origin of the first banana bread recipe is unknown, though some speculate it was originated in the 18th century by housewives experimenting with pearlash. 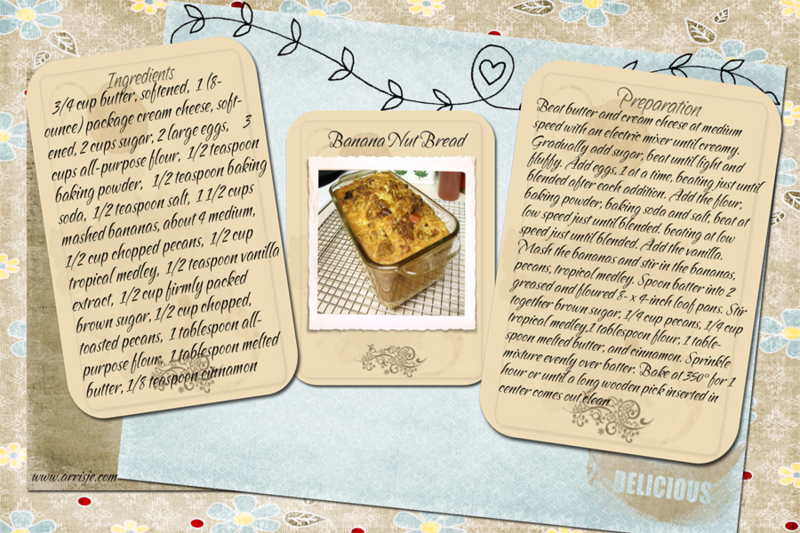 The home baking revival of the 1960s and the simplicity of its recipe led to an explosion in banana bread’s popularity. 1. 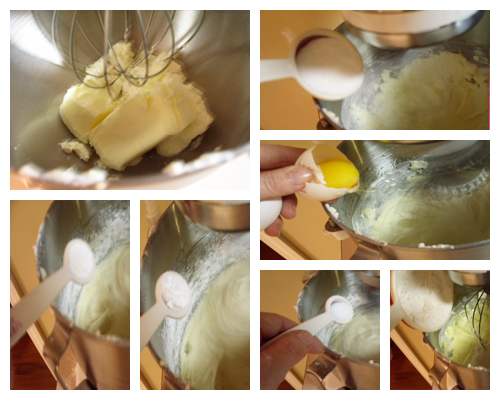 Beat butter and cream cheese at medium speed with an electric mixer until creamy. Gradually add sugar, beat until light and fluffy. Add eggs, 1 at a time, beating just until blended after each addition. Add the flour, baking powder, baking soda and salt, beat at low speed just until blended. beating at low speed just until blended. 2. Add the vanilla. Mash the bananas and stir in the bananas, pecans, tropical medley. 3. Spoon batter into 2 greased and floured 8- x 4-inch loaf pans. Stir together brown sugar, 1/4 cup pecans, 1/4 cup tropical medley,1 tablespoon flour, 1 tablespoon melted butter, and cinnamon. Sprinkle mixture evenly over batter. Bake at 350° for 1 hour or until a long wooden pick inserted in center comes out clean and sides pull away from pan, shielding with aluminum foil last 15 minutes to prevent browning, if necessary. Cool bread in pans on wire racks 10 minutes. Remove from pans, and cool 30 minutes on wire racks before slicing. 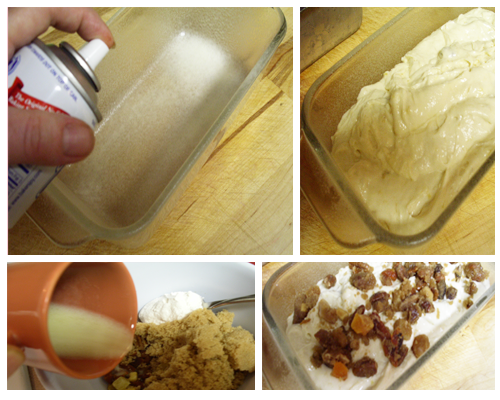 Beat butter and cream cheese at medium speed with an electric mixer until creamy. Gradually add sugar, beat until light and fluffy. Add eggs, 1 at a time, beating just until blended after each addition. Add the flour, baking powder, baking soda and salt, beat at low speed just until blended. beating at low speed just until blended. Add the vanilla. 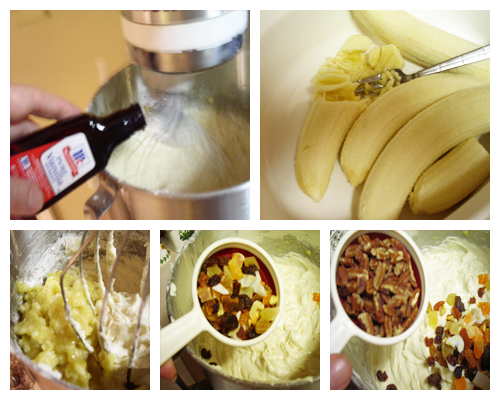 Mash the bananas and stir in the bananas, pecans, tropical medley. Spoon batter into 2 greased and floured 8- x 4-inch loaf pans. 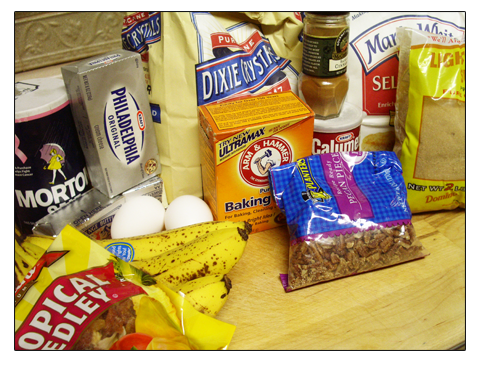 Stir together brown sugar, ¼ cup pecans, ¼ cup tropical medley,1 tablespoon flour, 1 tablespoon melted butter, and cinnamon. Sprinkle mixture evenly over batter. Bake at 350° for 1 hour or until a long wooden pick inserted in center comes out clean and sides pull away from pan, shielding with aluminum foil last 15 minutes to prevent browning, if necessary. Cool bread in pans on wire racks 10 minutes. Remove from pans, and cool 30 minutes on wire racks before slicing.